Atthesametime,Kazi,alegendaryformerstreetthief,issentbythequeentoinvestigatetransgressionsagainstthenewsettlements.WhenKaziarrivesintheforbiddinglandoftheBallengers,shelearnsthatthereismoretoJasethanshethought.Asunexpectedeventsspiraloutoftheircontrol,bringingthemintimatelytogether,theycontinuetoplayacatandmousegameoffalsemovesandmotivesinordertofulfilltheirownsecretmissions.Synopsis (via Goodreads): A new novel in the New York Times–bestselling Remnant Chronicles universe, in which a reformed thief and the young leader of an outlaw dynasty lock wits in a battle that may cost them their lives—and their hearts. I absolutely loved this! 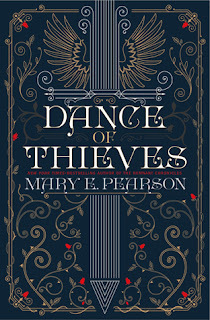 It was my first book by Mary E. Pearson, and I had no idea it was tied to another trilogy (The Remnant Chronicles) that's set in the same world. Other reviewers have mentioned familiar characters, and a familiarity with the world, so I'm looking forward to reading it soon! However, I had no trouble reading this one without any prior knowledge of the world. Everything made total sense. First of all, the narration for this was amazing! I requested a review copy of Vow of Thieves, but I honesty want to wait for the audiobook. It was that good! It really added another layer to the characters and the overall story. Speaking of the characters, they're all beautifully complex and interesting. I was uncertain about Jase at the beginning, because he seemed like a bully, but we quickly learn what motivates him, and why his family is determined to present a united front. Their idea of territory is a little tricky, which does cause them some problems (if they can see it, it's theirs), but I enjoyed watching the Ballenger's compromise with Kazi and her friends. The world they live in has a very rich history, and it was fun learning about new places. It's a vast world with very unique concepts, and despite being fictional, felt completely real. Additionally, I loved the riddles Kazi was always sharing with Jase! They were clever and fun to figure out. Also, his stories about the Ballenger's and their origins, were equally fascinating. I think Jase and Kazi really complimented each other, and not just romantically. They challenged one another, and were both very dedicated to their roles in life. Kazi had an interesting backstory, and I'm curious if we'll learn more about it in the next book. Kazi's life changed drastically after a sudden loss, but an unexpected kindness sent Kazi down a different path that altered her world forever. Both instances shaped the person she is today, and made her really good at what she does. Wren and Synove, the Ballenger siblings, and even the random people on the street were all wonderful. It's clear the author put a lot of thought and love into creating memorable characters. There were a few that I loved to hate, others I felt indifferent about, and those that left me feeling like there was more to their repective stories. I have a feeling not everyone is who they say they are. There were a lot of twists that I didn't see coming, although the characters were equally surprised. I liked learning new information with them, instead of determining what would happen in advance. Their reactions felt like my reactions, and really intensified the entire experience. I really, really recommend this one! 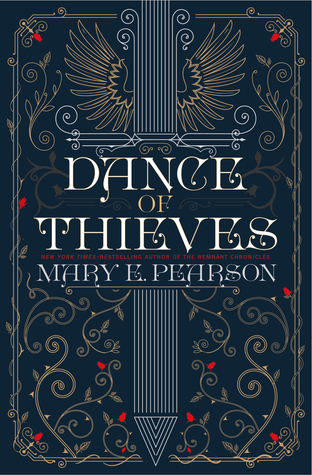 It doesn't matter if you've read the other trilogy, because Dance of Thieves can easily stand on its own. The characters are fleshed-out, the story was captivating and engaging, and the history made me believe I was somewhere else. The story was detailed, but there was no wasted information. Everything the author said, we needed to know. We might not have known we needed it at the time, but things had a way of reappearing when I least expected them to. Also, I just want to say that Synove's revenge was perfect. The ending wasn't what I was expecting, but in the best possible way. I'm also really looking forward to the next book, because even though the first book had resolution, the author made sure to dangle something juicy at the very end. Is it August yet? I need Vow of Thieves in my life! I've been meaning to try Mary Pearson for a while, even since her earlier series. This just makes me want to read her stuff even more! I haven't read this one but the storyline sounds like one that I might enjoy. Thanks for the great review. I read the first Remnant Chronicles book back in 2014 and wasn't wowed by it and chose not to continue the series. Fantasy just isn't my thing so it takes *a lot* to make me want to pick one up. I love that this one was such a big hit for you! It sounds like the world building was spot on and I love an ending that can take me by surprise. Do you think you'll go back and read the original trilogy now?? I love fantasy! It's probably my favorite genre. Kelley Armstrong's Age of Legends series, the Kate Daniels and Hidden Legacy series by Ilona Andrews -- amazing. I know you didn't care for the narrator when you listened to the first book in the Kate Daniels series, but the story is GOOD. What fantasy have you read and enjoyed? To be honest, out of the fantasy I've read (which, granted, isn't a whole lot) I've disliked more than I've liked. I loved the ACOTAR trilogy. And the two Folk of the Air book so far. The Crown's Game was okay. But those are really the only ones. One of these days I will probably recognize that fantasy is my genre and quit trying to force it. LOL Obviously I didn't proofread before clicking reply. :) Yeah, I meant that fantasy *isn't* my genre and I should just accept that finally. Eek, this books been on my TBR for a while!! I hope you love it! Have you read the original trilogy? Ahhh I'm glad to hear this was good and that you had read it before reading the other series! I had only read one of those but this one looked really great so I wanted to skip to this one, kind of haha. :) Great review! 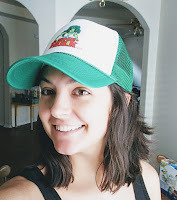 This is an author I've wanted to try. Wonderful review! Thanks! I purchased this book after listening to the audio, and I also bought physical copies for her other trilogy that set in the same world. I'm really looking forward to reading it while I wait for Vow of Thieves to come out.